Examples of carrier oils are jojoba, olive, sesame seed, grape seed, sweet almond, sunflower seed, wheat germ, and vitamin E oils. We have used organic coconut oil, organic olive oil, and Young Livings “V-6 mixing oil.” Whatever you decide to use it should be organic if possible. Young Living has combined seven of these carrier oils into a blend called “V-6 Mixing Oil.” This blend is highly nourishing and full of anti-oxidants. It is excellent for diluting essential oils. When learning how to use essential oils, safety is very important. Always do a skin test before using an essential oil. Keep vegetable oil nearby to wipe off the essential oil if sensitivity occurs. Do not use water! Many essential oils are safe to use on babies and children. Dilution is generally one half to one third (½-1/3) that of adults. Always test the skin first for oil sensitivity, the bottom of the feet are the safest place. *Note: Avoid using peppermint oil on the throat and chest area of children less than 30 months of age.This could cause spasms of the larynx. How to use essential oils for Infants and Babies "Indirectly"
Rub 1-2 drops of essential oil into the palm of your left hand until they are almost dry. 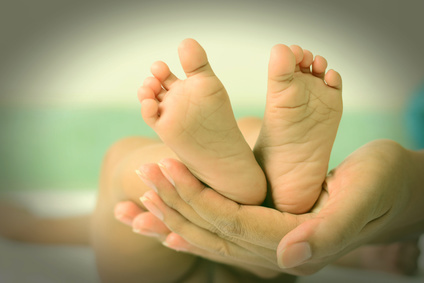 Without touching the baby, hold your hands over the area of the body that needs attention. This works well for infants and babies without having to directly apply oils. You can also apply essential oils like Lavender or Peace and Calming Essential Oil Blend on the back of your neck and hold the baby. Wait approximately 10 minutes for the oils to completely absorb into your skin before holding the baby next to your shoulder. Just 1-2 drops is all that should be used. Place 5-15 drops of essential oil into a basin of warm water (approx. 100 degrees); use cool water if there are neurological problems. Agitate the water vigorously and let stand for 1 minute. Place a dry cloth on top of the water to soak up the oils that have floated to the surface. Wring out cloth and apply it to body. Cover with a thick towel to seal in warmth, no longer than 1 hour. Essential Oils can be inhaled directly from the bottle or from the palms of your hands. Rub 1-2 drops of essential oil together in the palms of your hand. Cup your hands over your nose and breathe in deeply. Clean and purify the air while adding healthy, immune supporting fragrance. Use in family rooms, bedrooms, bathrooms, anywhere in your home. Diffusing Purification Essential Oil Blend can help to deter insects in your home. To wake up well rested diffuse Lavender Essential Oil in bedrooms at night for a relaxing and peaceful sleep. This is an excellent way to get essential oils into the respiratory system of family members. We use in bedrooms when a family member needs support for sinus, nasal passages, lung, and respiratory support. For respiratory support we diffuse R.C. Essential Oil Blend in the bedroom at night during sleep. R.C. Essential Oil Blend can also be diluted and applied to the chest and back and on the Vita-Flex lung and spine areas. To support a runny nose apply R.C. or Raven Essential Oil Blend along the outside of the big toenail. This is an effective vita-flex point. To enhance and give your immune system a boost diffuse Thieves Essential Oil Blend in your home or bedrooms at night. Place a few drops of essential oil in the medicine well of your humidifier or vaporizer. Add a few drops of essential oil into a bowl that has been filled with hot water. Drape a towel over both the bowl and your head. Breathe in deeply. This is great for sinus support. You can also drop a DIY Shower Fizzy into the bottom of your tub or shower stall for nasal, sinus, and lung support. Many essential oils can be worn as perfumes. This is a non-toxic and chemical free way of adding the nourishing benefits of oils into your daily routine. Some beautiful oil blends are Joy and Sensation for women and Idaho Balsam Fir for men. Topical or direct application means applying the oils directly onto the skin. They can be applied on the back, along the spine, on the soles of the feet, the hands, ears, or the area of concern. *Dilution may be required" and is recommended for children. Check bottle for instructions. 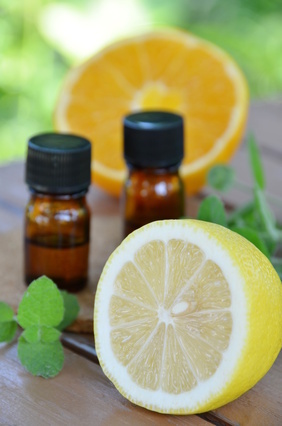 Essential oils can be used before massage, during a massage, and after a massage. Massage can be used on any area of the body from your head to your feet. This technique stimulates the nerve pathways that lead to internal body systems. 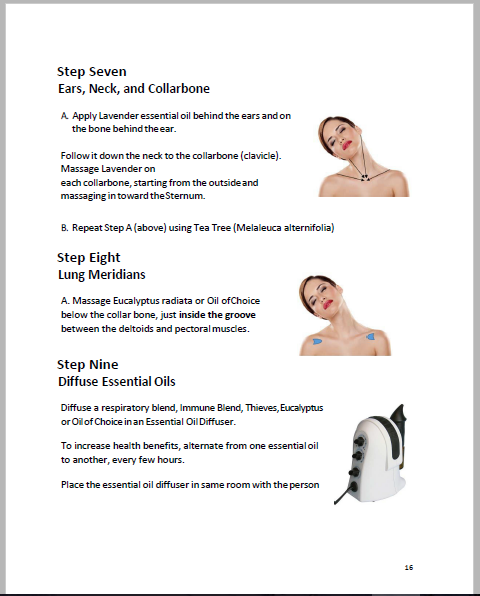 This is a very effective way to deliver the therapeutic benefits of essential oils throughout the body.You can use this technique to effectively target specific areas of support within the body. Reflex points are located on both the feet and hands. Stimulating these pathways with essential oils has the ability to quickly lend rapid support. To target specific conditions we highly recommend the Vita Flex Technique. In this technique essential oils are applied to the acupressure points on the ears. This delivers the therapeutic benefits of essential oils into the body and and emotional centers of the brain to address physical as well as emotional issues. Essential oils are powerful and potent at supporting emotional health and wellness. The raindrop technique combines essential oils with massage to support the body in a large variety of ways from immune to relaxation and balance. This technique is relatively easy to understand and put into practice. Young Living Essential Oils carries a kit collection called the “Raindrop Technique” that includes the oils, a step by step demonstration DVD, and brochure. This is an effective way to support the immune system, relieve stress and anxiety, and other concerns as well. For deeper penetration of an essential oil you can create a compress. Rub 1-3 drops of essential oil on location. Cover with a comfortably hot, damp towel. Cover the moist towel with a dry towel for 10-60 minutes. You may experience warming. If it becomes uncomfortable apply a vegetable or carrier oil to location. Oils do not mix with water and if not properly dispersed can irritate the skin. Add 5-7 drops of essential oil to 1 cup Epsom salts, baking soda or add 5-15 drops of oil to a bath gel base. Disperse it under running water as you fill your tub or sprinkle into the water after tub is full and swish around with your hand. This is very relaxing and extremely helpful if you are feeling stressed. You can also use this foot bath to relax and soothe tired or overworked feet. Add 5-10 drops of essential oil to warm water in a tub or basin and soak feet 15-30 minutes. Ah...that feels good!